3 X 5***** for your new lovely pots - dear TOMEK !! Wish you all the best,and a very happy week with your loved ones !! Beautiful creations, Tomek. Five deserved stars for all pots. Welcome to Lcp !!! 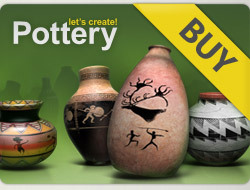 5***** for your very lovely pots !!! GOOD LUCK DEAR TOMEK !!! THANK YOU so very much for your visit and lovely comment ! !